The Llandovery Castle was torpedoed and sunk by a German U boat on June 27, 1918, despite being clearly marked as a hospital ship. The sinking was the deadliest Canadian naval disaster of the First World War. Tragically, 234 doctors, nurses, members of the Canadian Army Medical Corps, and crew died in the sinking and subsequent destruction of lifeboats. The tragedy sparked outrage in Canada and internationally, and the incident was one of six British cases presented at the war crimes trials post-WWI in Leipzig, Germany. 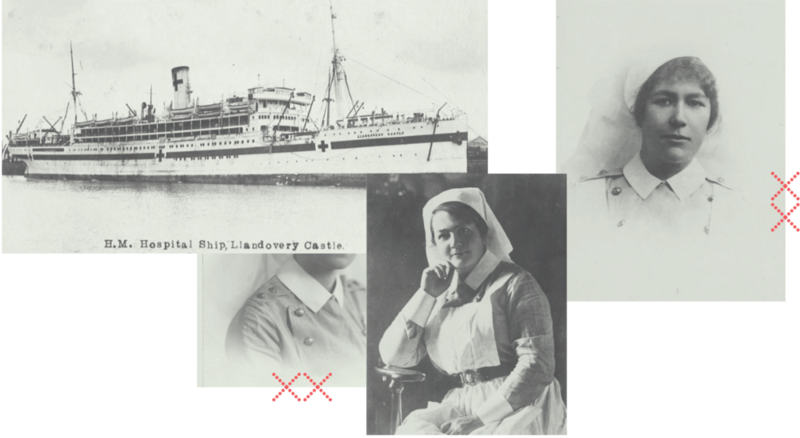 "The sinking of the Llandovery Castle has been inexplicably all but forgotten by everyone except historians, and the incredible contributions and bravery of nurses throughout the war have also largely been overlooked. It is a privilege to help shine a light on this significant story and these remarkable women," said librettist Paul Ciufo. Composer Stephanie Martin was particularly inspired by her research into the important role Canadian Nursing Sisters played in the development of women's rights in Canada. "The Nursing Sisters represent the beginning of a profound change for women in Canada because of the gains they made within the hierarchical world of men. They received pay equal to their male counterparts. They were the only women in the war to have military rank as officers, and, consequently, could vote in federal elections. No other Canadian women had these privileges at the time," said Martin. The efforts of women during the war helped pave the way for rights for all women. When women's suffrage was achieved in Canada in the spring of 1918, the major argument advanced to support the change was women's contributions to the war effort. The danger faced by medical professionals in areas of conflict continues to be an issue today, and the medical non-profit Doctors Without Borders / Médecins Sans Frontières (MSF) welcomes the opera. Said Joe Belliveau, MSF-Canada's Executive Director, "As medical humanitarians working in contemporary conflict settings, the story of the Llandovery Castle strongly resonates with our cause. It was then (in 1918), as it is now, outrageous and profoundly wrong that men and women healing the war-wounded should themselves be shot at." Rena “Bird” McLean, Souris, P.E.I.